When you see performer Willi Carlisle on Mass Ave he seems a little shy. but when he takes the stage he is transformed as he sings, tells stories and plays five different instruments during an hour that seems to fly by. He is alternately funny and serious as he as weaves his story. 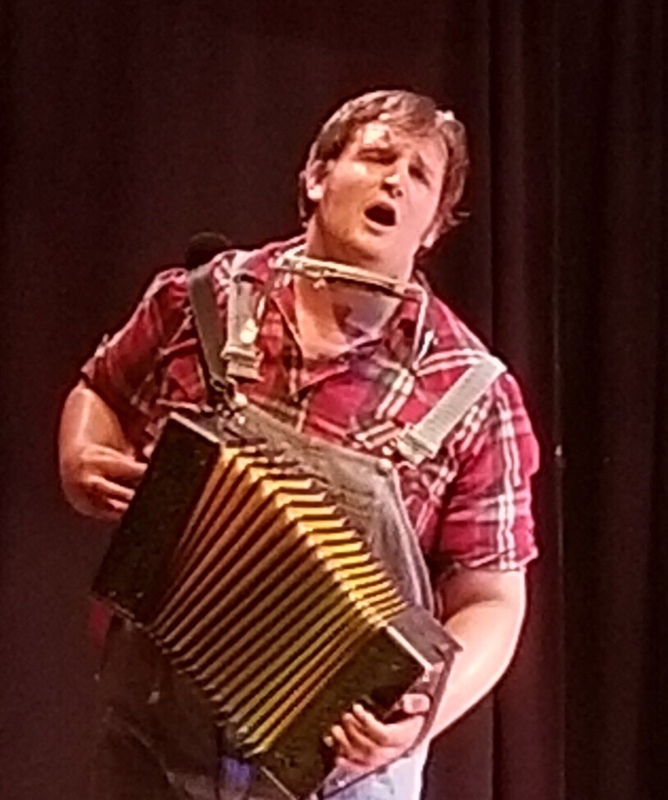 This accomplished musician plays guitar, accordion, fiddle, banjo, and harmonica. One of my favorite bits is a trick in which he spins his banjo and continues to play. At first, I thought it was a recording, but quickly realized he was creating one handed music. He is personable and engaging as he encourages the audience to sing along. Just a quick note, there is some adult-themed material so this foot-stomping fun is just for adults.